In the last 25 years, we have grown leaps and bounds and clearly work in close co-ordination with our clients to meet their exact requirement by way of producing wide range of Dairy Equipment, Dairy Farm Equipment such as Bulk Milk Coolers, Butter Churner, Cream Separator and Aluminium Alloy Milk Cans. 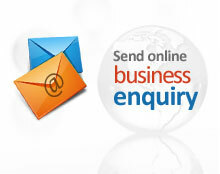 Growing consistently with zeal and hard work in the industry, we aim at meet the single objective i.e. Customer Satisfaction. 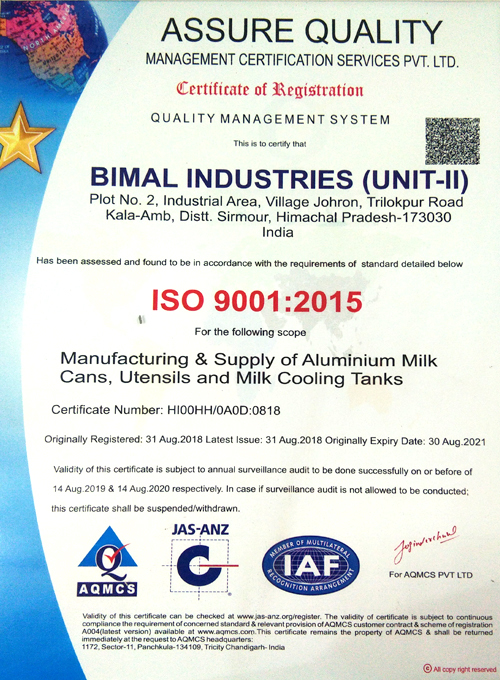 "Considering Quality as the focal point of the organization" - We, Bimal Industries Unit-II, are proud to introduce ourselves as one of the most trust worthy organizations, engaged in the manufacture and export of a range of dairy equipments such as bulk milk coolers, butter churner, cream separator, aluminium alloy milk cans, aluminum cookware, fry pan and sauce pot. To work in close co-ordination with the clients.